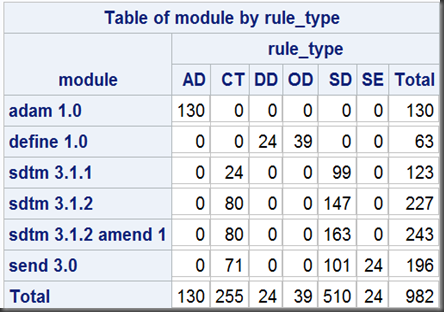 The most significant enhancement of V1.3 against V1.2.1 is the adding of rules for SDTM 3.1.2 with Amendment 1 and SEND 3.0. You can see there are also some changes among others modules, such ADaM 1.0 and SDTM 3.1.2. 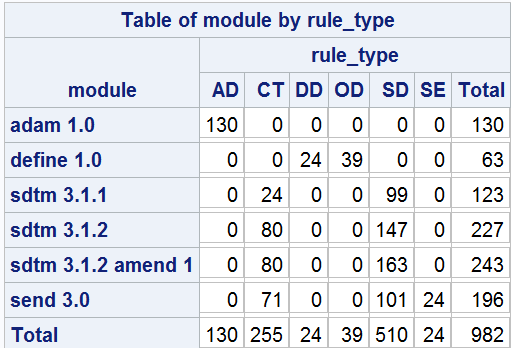 The OpenCDISC release newsletter said that there are 43 new SDTM rules added. 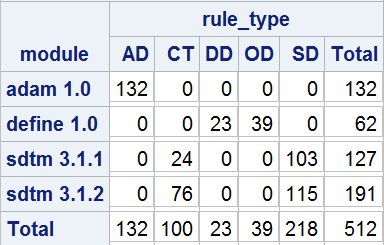 Well, rules deleted, rules added, rules commented, we now have some arithmetical discrepancies. then the last line number is the total number of the rules (227 in this case). 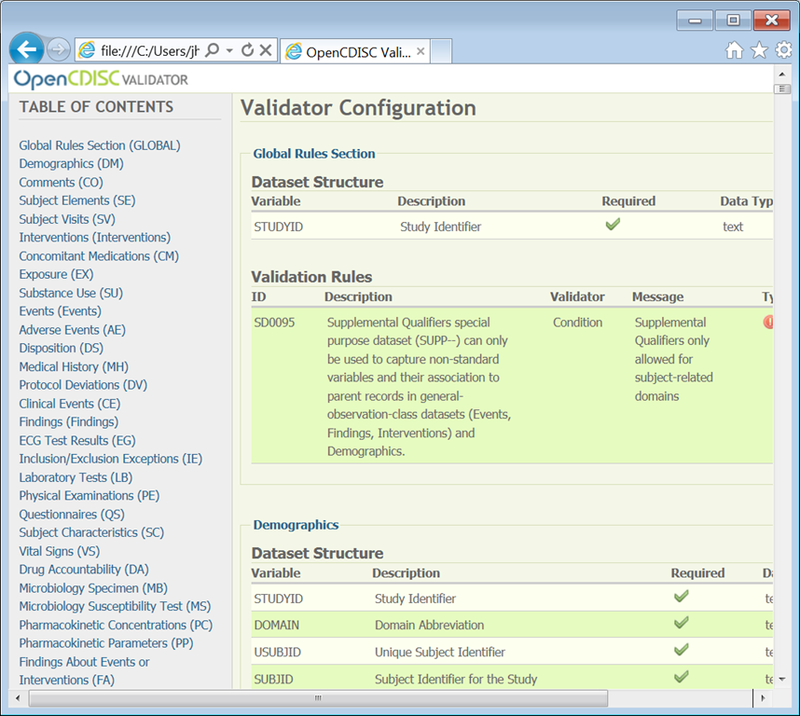 Actually in the “OpenCDISC Validation Framework” page of OpenCDISC website, the “Find”validator is not documented yet.